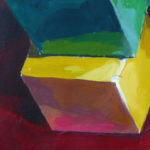 Self-guided online art course for absolute beginners. I hope you will get inspired by this fun and very detailed art course for all ages. 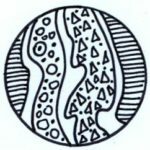 I created it to give you tools and guides to develop the understanding of art techniques and theories. The focus is on developing your drawing/painting skills through exercises that will improve the eye-hand coordination, sense of proportion, color mixing, shading, and other skills. This course will give you a starting point to grow as an artist. No prior art experience required, but can be fun to revive all these forgotten art skills you once had! 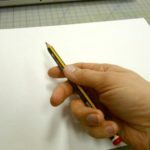 You will start with a series of simple exercises to improve your basic drawing skills: eye-hand coordination, proportions, shading techniques, etc. Feel free to print as many worksheets as it takes to get to the result you want. You will then learn and practice the concepts of 3-D drawing, working with positive and negative space, and Color Wheel theory. I put together a set of non-intimidating assignments that will guide you through the basics of drawing and painting. This course will give you a solid base of art skills that you can build upon as you advance as an artist. 1. Warm-up exercises. 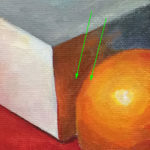 Linear drawing within small areas. 3. Set of exercises to practice lines, directions, and proportions. 4. Set of exercises to further develop the sense of proportions. 5. Shading techniques, strokes and value. 6. Drawing and shading 3D forms. Set of exercises. 8. Drawing exercise to apply the shading pattern (chiaroscuro). 9. Positive and negative drawing. Learn to see negative space. 10. 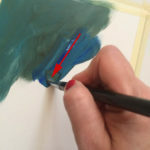 Basics of painting with acrylics. 11. 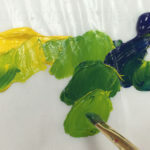 Basics of Color Theory and color mixing. 12. Painting a simple still-life. What you get: 13 units, 27 printables, 30+ projects, lists of tools and materials used, feedback and a new art experience! Feel free to contact me with questions or in a need of a feedback.